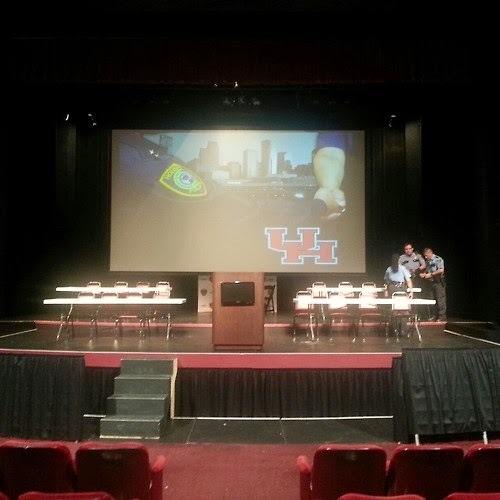 You can also send questions via Twitter @houstonpolice #hpdtownhall. For more information about the meeting, go to www.houstonpolice.org. Please join us tomorrow at 6:30 a.m. at Memorial Park (6501 Memorial Dr. Houston, TX 77007-7021) for “Run With Your Recruiter.” Officers will walk you through the physical agility test so that you will be better prepared to succeed in the hiring process. This will give you the opportunity to practice this test without your scores being recorded by HPD. It is designed solely for your benefit. Officers will also be available to address any additional questions. Please wear appropriate jogging attire. Also, bring a towel and plenty of water for yourself. We will start promptly at 6:30 am at the quarter mile track in front of the tennis courts at Memorial Park. The Event should take no more than two hours. If you have any additional questions regarding this run, please feel free to call us at 713-308-1300 or go to www.hpdcareer.com. Chief Charles McClelland will hold a city wide Town Hall Meeting this Saturday, February 1 from 10a - noon at the UH Cullen Performance Hall. This is your chance to ask the chief a question. 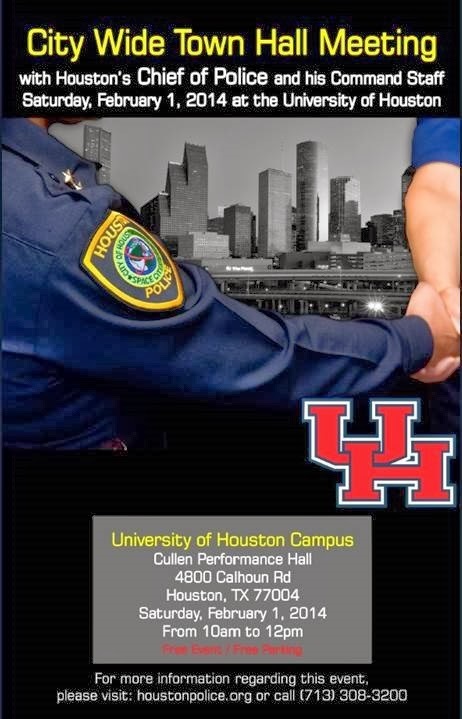 Our Recruiting Unit will be there to answer questions about joining HPD. For more information about HPD's hiring requirements, go to www.hpdcareer.com or call Recruiting at 713-308-1300. HPD has started using body cameras. The first ones were issued to patrol officers recently. Here is a story ABC 13 did on the roll out of the body cameras. Are you in Georgia and thinking of a career with HPD? 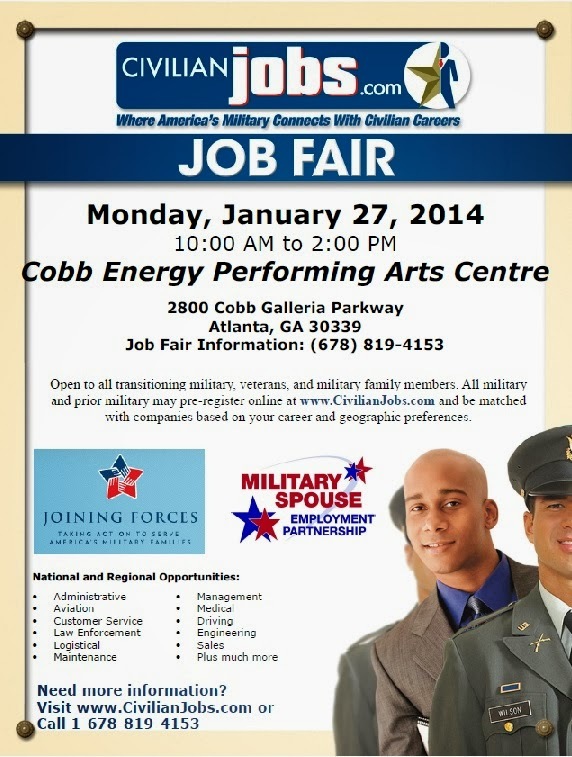 Our recruiters will be in Georgia on January 27th and 28th, and these events are open to the public. 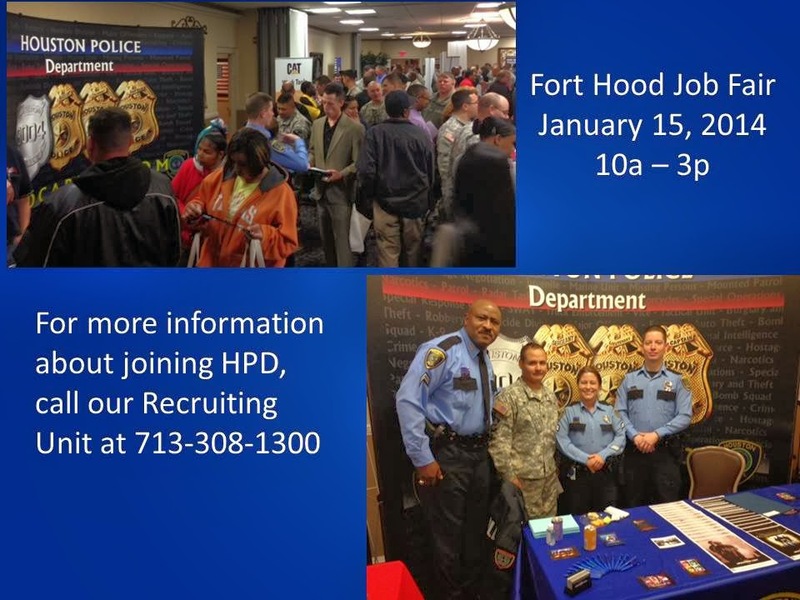 Come out and see if a career with HPD is for you. For more information about joining HPD, go to www.hpdcareer.com or call Recruiting at 713-308-1300. 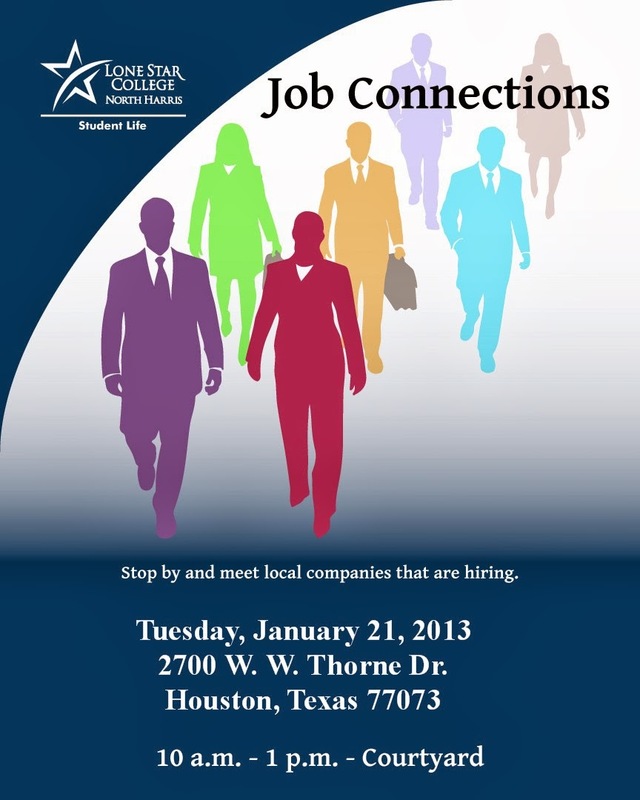 HPD will be looking for potential cadets at Lone Star College - North Harris on Tuesday January 21 from 10 am - 1 pm. Our recruiters will be in front of the cafeteria. Come by and say, "hi." Thank you to NewsFix for this look at HPD by the numbers . . . Happening right now . 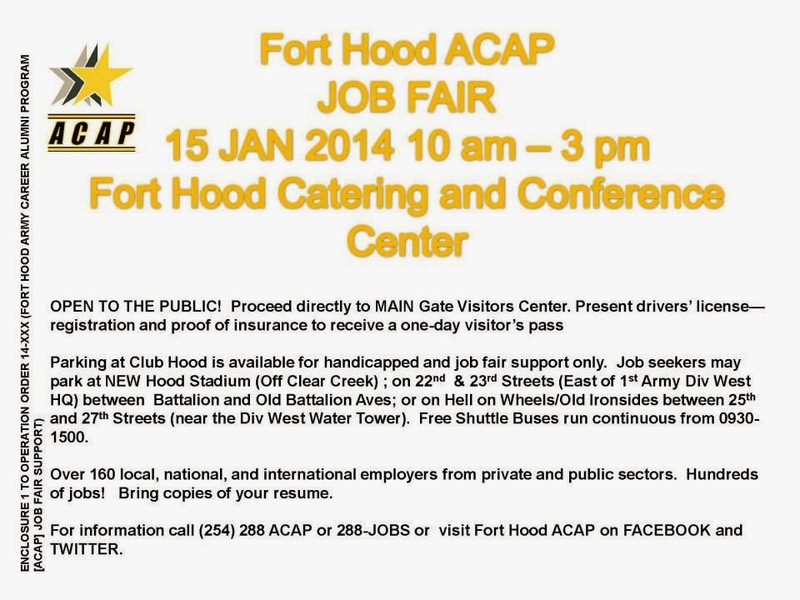 . .
Fort Hood is hosting a job fair until 3 pm today. It is open to the public. 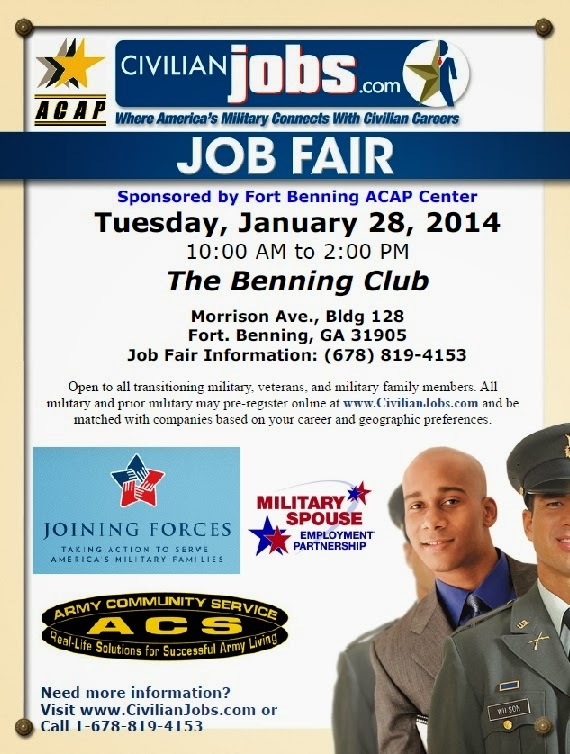 If you or someone you know is in the area, come out and talk to one of our recruiters. 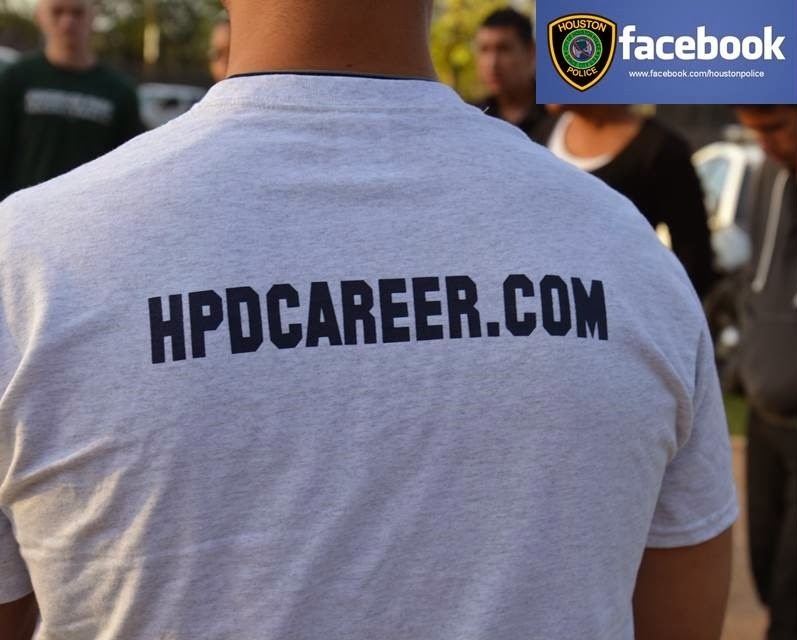 We are there to answer your questions about starting your career with HPD. You can also go to www.hpdcareer.com for more information. This is why searching prisoners is so important . . . This situation could have been much worse. Thankfully, it wasn't. Post by Calibre Press - Street Survival Seminar. Do you want to be in our next cadet class? Go to www.hpdcareer.com to see the requirements for joining our next cadet class. Or call Recruiting at 713-308-1300. Thank you Houston for a great 2013!!! Happy New Year!! !